This map shows the approximate boundaries between neighborhoods. For simplicity, note that some neighborhoods have been combined. 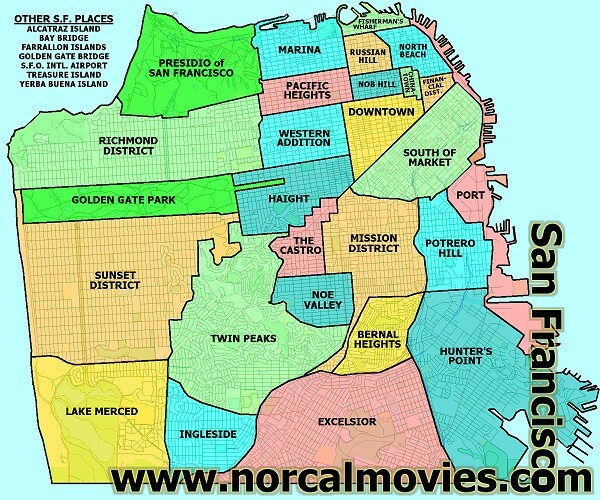 For example, the Sunset District includes Parkside and Golden Gate Heights, Hunter's Point includes Bayview, and the Haight includes Haight-Ashbury, Ashbury Heights, Lower Haight, and Hayes Valley.